The Offshore West Africa Conference & Exhibition, owned and produced by the PennWell Corporation, is delighted to introduce delegates, exhibitors and visitors to the upcoming 20th anniversary edition in Nigeria. The first of its kind in West Africa, the event premiered in 1996 in Nigeria to an international audience of delegates, exhibitors and partners. 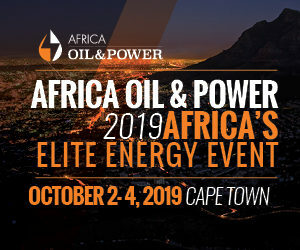 Borne out of a need to provide a networking and technical knowledge sharing platform in the West African Oil & Gas sector, this annual event has grown from humble beginnings into the Oil & Gas phenomenal event it is today. 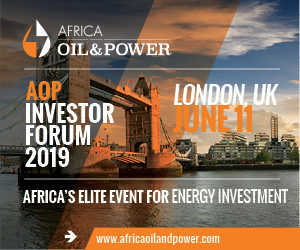 The Offshore West Africa Conference has over its rich 20-year history been instrumental to the growth of the Oil & Gas Sector globally by delivering a first class networking platform in West Africa and continues to do so. To mention a few: The paradigm shift in the Nigerian Oil & Gas Sector from land and swamp operations to Offshore Oil & Gas Exploration and Production, with the major International Oil and Gas companies delving into the use of FPSOs (Floating Production, Storage and Offloading Vessels) as the ‘new way’ in offshore E&P (Exploration & Production) operations in the last 15 years. The Offshore West Africa forum has also played a significant role in showcasing new and relevant technologies that have been instrumental to the discovery and development of new and major offshore Oil & Gas Fields in West Africa as was the case with the Ghanaian Oil & Gas industry when hydrocarbon deposits were discovered in commercial quantities in the last 10 years. This in turn has attracted more international Oil & Gas companies to the West African Offshore E&P market as well as generate new frontiers in far off Asia for the manufacture of FPSOs, allied technology, products as well as requisite global training of manpower to operate new systems and operate in fresh markets. Indeed, the Offshore West Africa Conference is truly indigenous to the countries where the forum has held over the years – as our continuous partnership with the Nigerian Content and Development Monitoring Board (NCDMB) and various similar institutions in the West African Oil & Gas Sector attest to. International Trade Missions with global reaches such as the United Kingdom Trade & Investment Council (UKTI), the Scottish Development International (SDI) and the International Trade Council (ITC) as well as Regional Industry government heavyweights such as the Nigerian National Petroleum Corporation (NNPC), the Department of Petroleum Resources (DPR), the Ghana National Petroleum Corporation (GNPC), International Oil Companies – IOCs (such as Royal Dutch Shell, Total, Addax, Nigerian Agip Oil Company and Saipem), EPIC companies, major financial institutions operating in West Africa have also continuously partnered with the Offshore West Africa Conference over the years. This list is still growing. Foremost Institutions such as the African Energy Association, the Energy Institute Nigeria and Lonadek have also continued to partner with the Offshore West Africa Conference as Strategic Partners for the 20th annual Offshore West Africa in 2016. As featured during the Offshore West Africa 2015 conference, the Year 2016 conference will also feature a Continuous Development Programme for fresh engineers and a Youth Empowerment Programme for a stipulated number of university students from Ghana and Nigeria. These programmes will be run in conjunction with Lonadek and the Energy Institute’s Young Professionals Network and they form a part of PennWell’s overall corporate social responsibility initiatives. The programmes involve Career Counselling, Industry Related Awareness and an Empowerment Workshop. As plans are being finalised towards the 20th anniversary edition of the Offshore West Africa Conference, the event promises to be better than ever. Taking place on 26-28 January 2016 at the Eko Hotel & Suites, Lagos, Nigeria, and Offshore West Africa will build on the success of the 2015 event, which also took place in Lagos and attracted a record breaking international audience of almost 2,400 leading oil and gas industry professionals from more than 30 countries worldwide. The event will continue to feature a technical and strategic conference program developed by an Advisory Board comprised of leading industry experts, as well as an exhibition showcasing products, technologies and services from global and regional oil & gas companies, held concurrently, bringing together exhibitors and attendees from around the world for three days of education, networking and new business development. Offshore West Africa is a truly West African event and addresses key technology and development issues for the West African offshore Oil and Gas market, through a comprehensive educational program and three-day exhibition and conference, with the 2016 event focusing on Positioning for a Sustainable Future as the core theme. Offshore West Africa welcomes you to join in the celebrations as the event hosts its 20th anniversary celebrations.